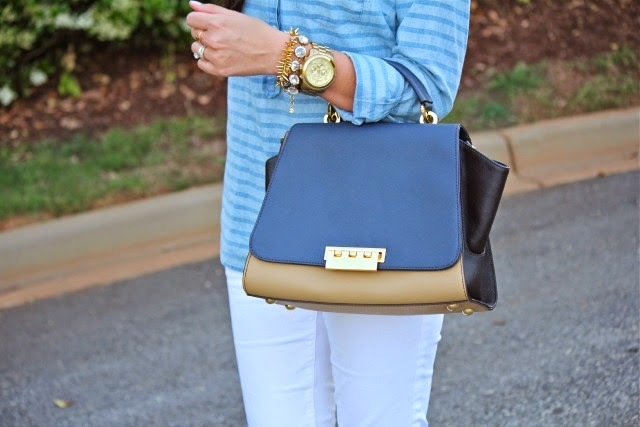 I can never seem to get enough of chambray or stripes, so this is the perfect combination. I'm also obsessing over fishtails, as of late. I hope you're having a great week and thanks so much for stopping by! xo. P.S. - Don't forget today is the last day to shop the Kate Spade sale, details below. I love this look and your braid looks amazing! 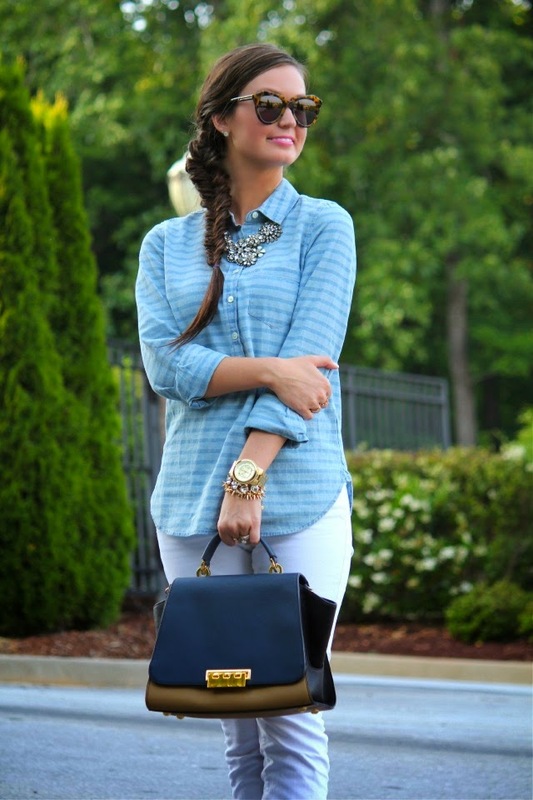 Love that top and your fishtale braid looks gorgeous!! 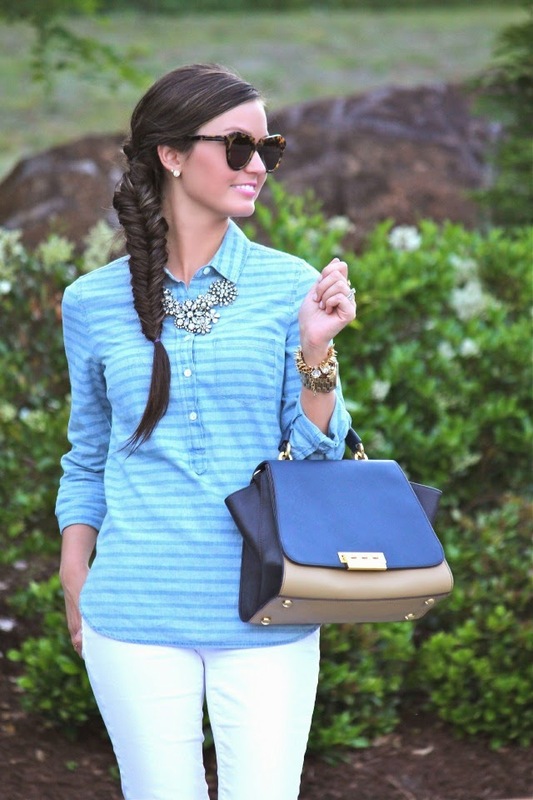 I love a good fishtail braid and yours is amazing! 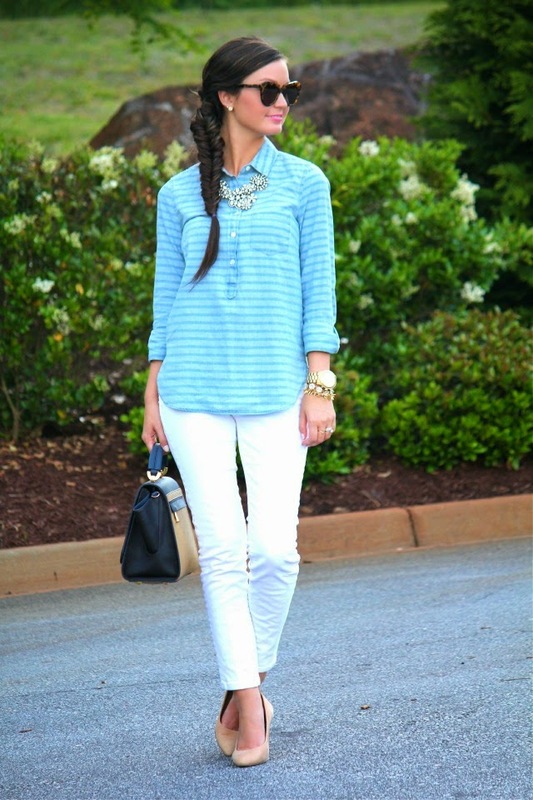 Loving the popover top with the white skinnies. Perfection! Love the necklace & the bag. Very cute outfit! I wish I could fishtail braid my hair! You look gorgeous!!! Your hair is adorable and I love that bag!! I love that statement necklace! I'm sad they don't have it in stock anymore! I love this look!! I agree with you on chambray and stripes. They are two of my favorites to incorporate into my style routine. Hope you have a great holiday weekend!! !